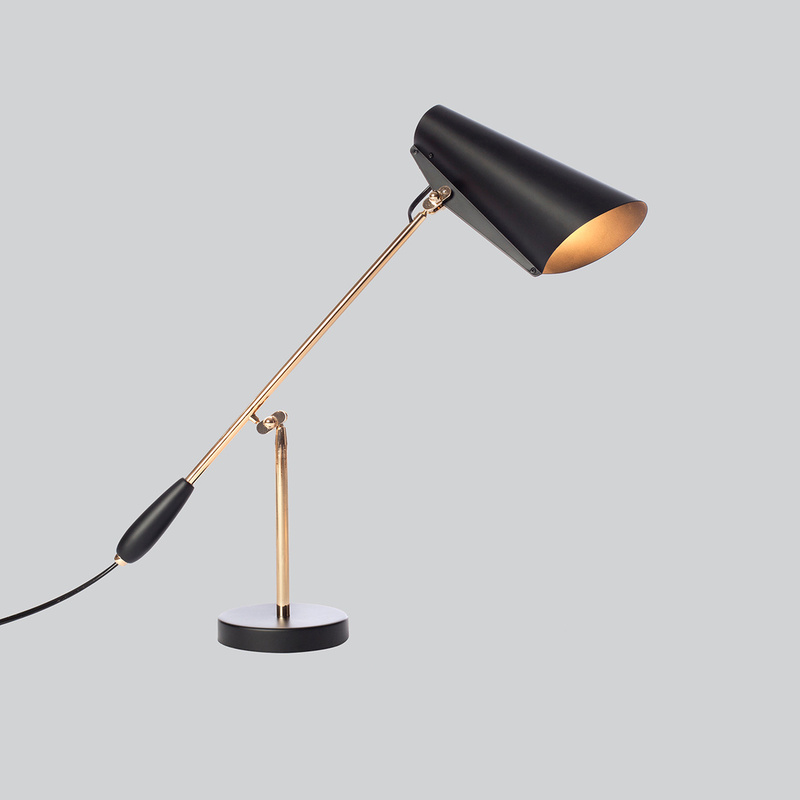 Birdy is a table lamp designed by Birger Dahl in 1952, in a modernist style. 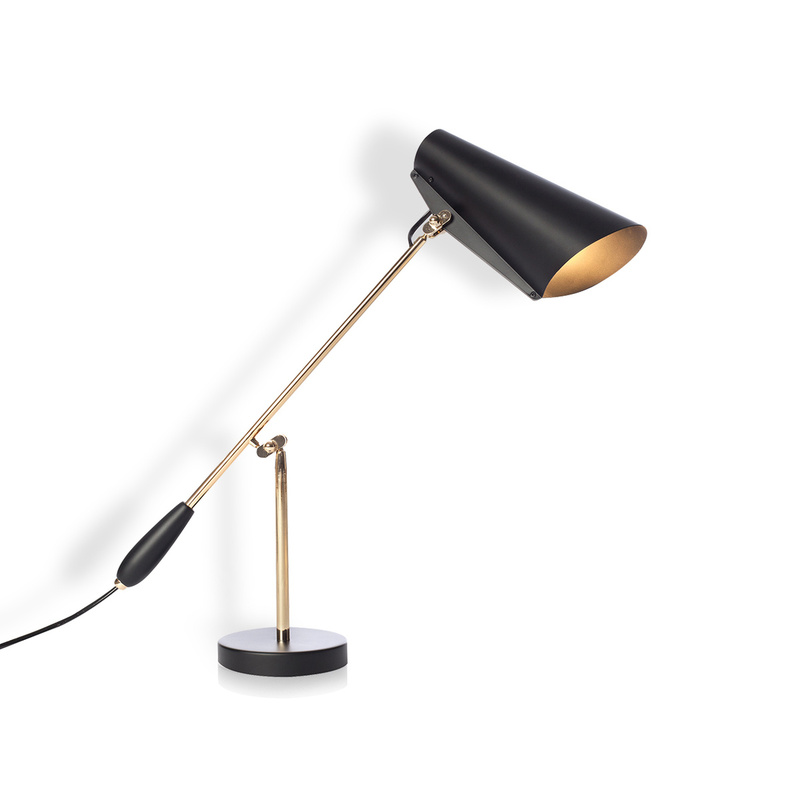 The lamp series was produced and sold by the Norwegian electricity company Sønnico (Oslo) for many years. In 1954 the table lamp, then known as “s-30016” was awarded the highly esteemed Golden Medal at the Milan Triennale. 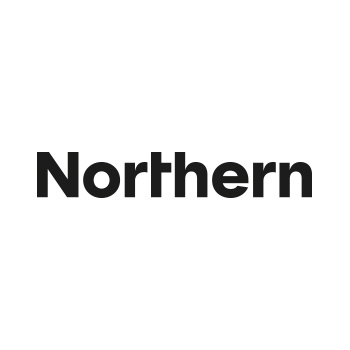 In 2013 Northern Lighting decided to re-launch this design classic, taking care to preserve the original shape and highly functional features that at first made it such a well–loved light. The lamp series includes a wall and floor lamp as well as a table lamps, and is available in off-white or matt grey colour with satin nickel finish and matt black colour with brass metal finish. 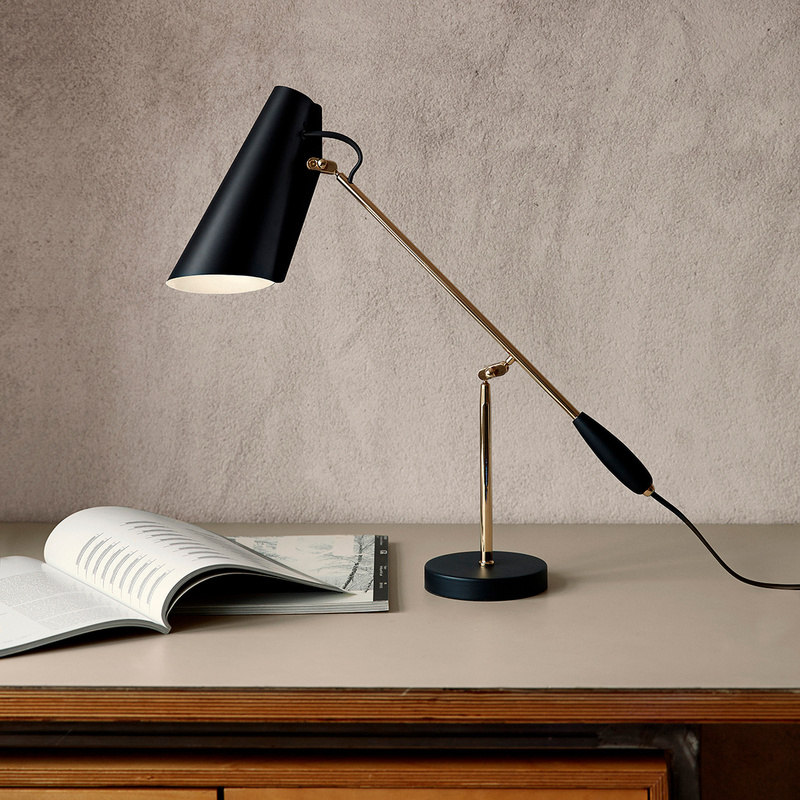 This designer table lamp by Norwegian maker Northern Lighting will look wonderful in any room of your home - bedroom, living areas, entrance or living room - and will add a streamlined sense of elegance to any corner. This beloved modernist lamp series designed by Birger Dahl has been a favourite Norwegian collector’s item for many years. After its original launch and as part of the post-war so-called “democratic design wave” from Scandinavia, the lamp reached early high standing as a relatively inexpensive, yet highly functional, and esthetically appealing light piece for the masses. 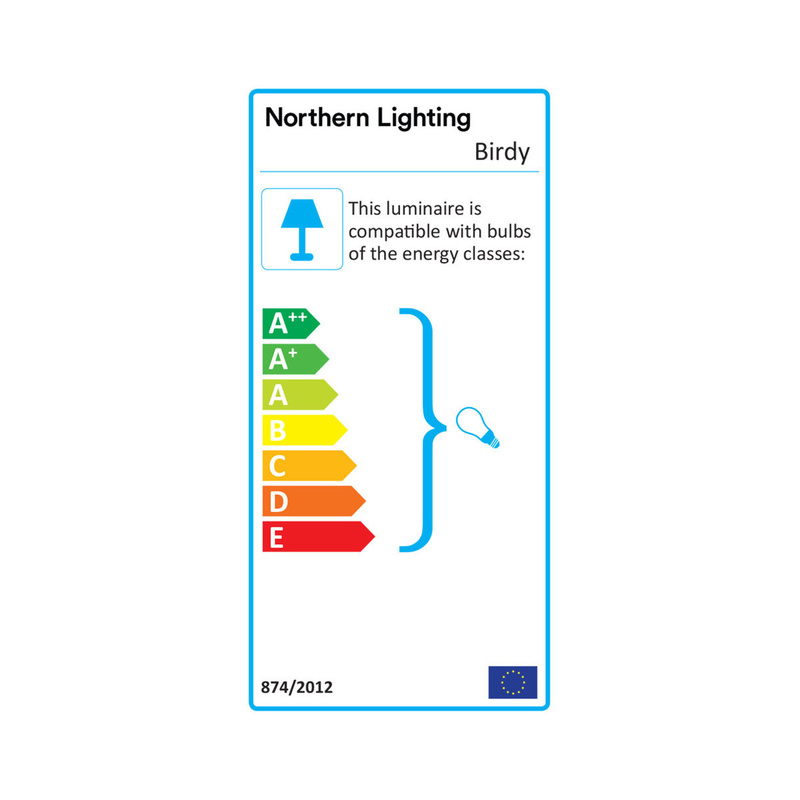 Bulb requirements: Bulb: E27. Max. 60 W. Adapter required. 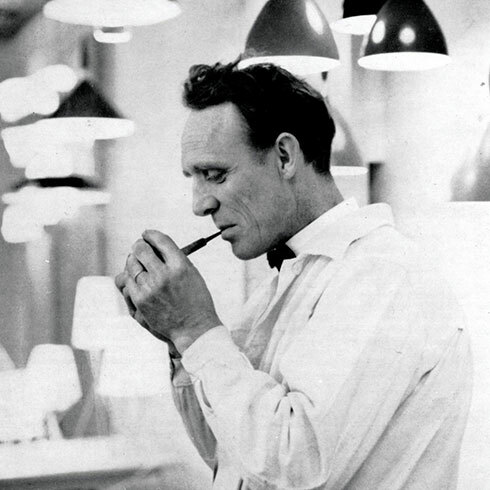 Award-winning designer Birger Dahl (1916 – 1998) was a pioneer of contemporary Scandinavian lighting. The mid-century years were a formative period of his work, when he forged his signature streamlined style and launched a new vision of lighting design. Dahl's career had actually begun the previous decade, when he became head of design at Norwegian electronics firm Sønnico and created the award-winning Dokka pendant lamp. Dokka was the first lamp in Norway to receive a Golden Medal award at the prestigious Triennale di Milano, which brought Norwegian lighting under the international spotlight. While acclaimed for his lighting designs, Dahl is also considered to be one of Norway's leading Post-war interior architects. Strict geometric shapes, such as circles, cones and cylinders, were the building blocks of Dahl's design vocabulary, which he softened with gentle contours. He emphasised the purity of form, highlighting the shape of the object rather than hiding it behind decorative details or layers of ornamentation. Sensibilities like these explain why his work still appears modern today, and why lighting designs such as Dokka and Birdy are so compatible with the interiors of our time. Established in Oslo in 2005, Northern is a heady hotspot of creative cool. All its lights are fun to use, and bridge the gap between everyday functionality and ideals of luxury and style. Its designs are guided by Scandinavian simplicity and the ever-changing character of the Nordic light.